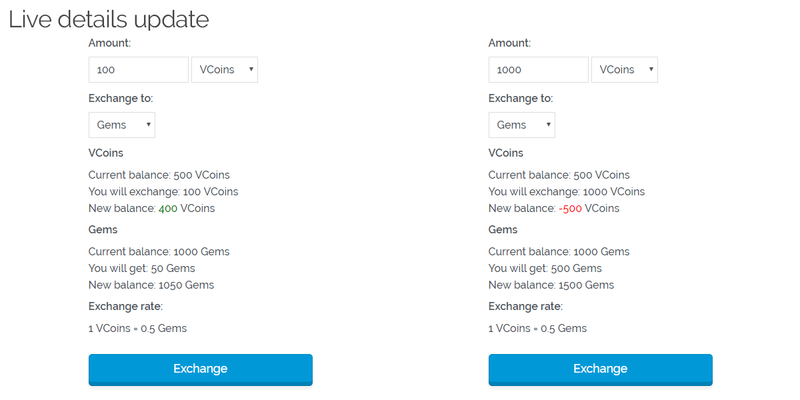 Added extra checks on exchange processing to ensure that user meets the points amount that wants to exchange from. Points Exchanges gives you the ability to bring to your users the possibility to exchange any or a predefined points amount to any other points type. 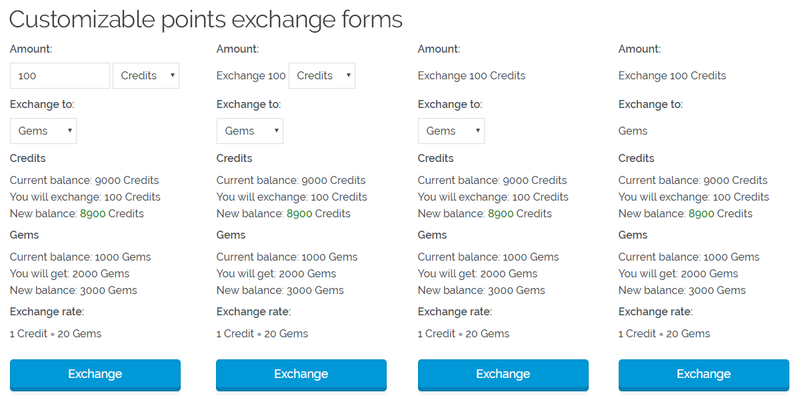 In just a few minutes, you will be able to place points exchange forms around your site and award your users for exchanging between different points types. Points Exchanges extends and expands GamiPress adding new activity events and features. New exchange When an user makes a new exchange. Exchange a minimum amount of points When an user exchanges a minimum amount of the desired points type. Configurable points exchange forms to let users exchange points between the predefined points types. Points exchange forms details will be live updated (without refresh the page). 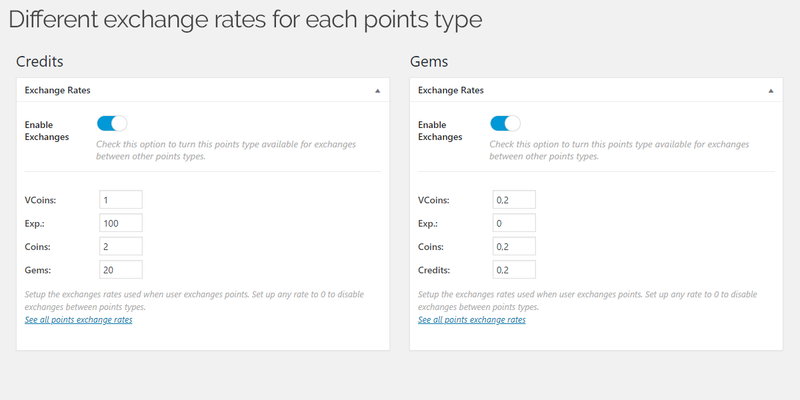 Set different exchange rates by each points type. Ability to disable exchanges between specific types. Shortcode to place any points exchange form anywhere (with support to GamiPress live shortcode embedder). Widget to place any points exchange form on any sidebar. 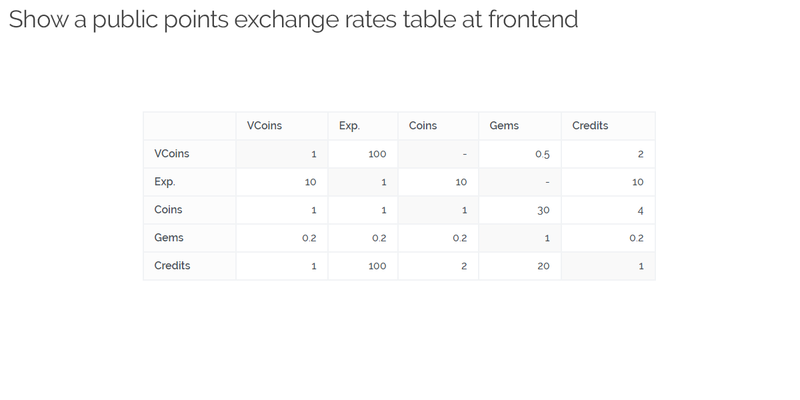 Shortcode and Widget to place a points exchange rates table anywhere.